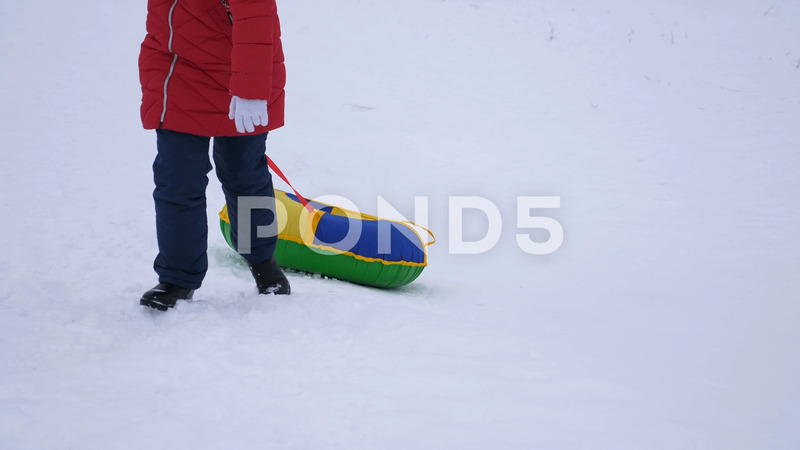 Description: Girl climbs on snowy winter mountain holding snow saucer. Winter games in fresh air. Christmas.